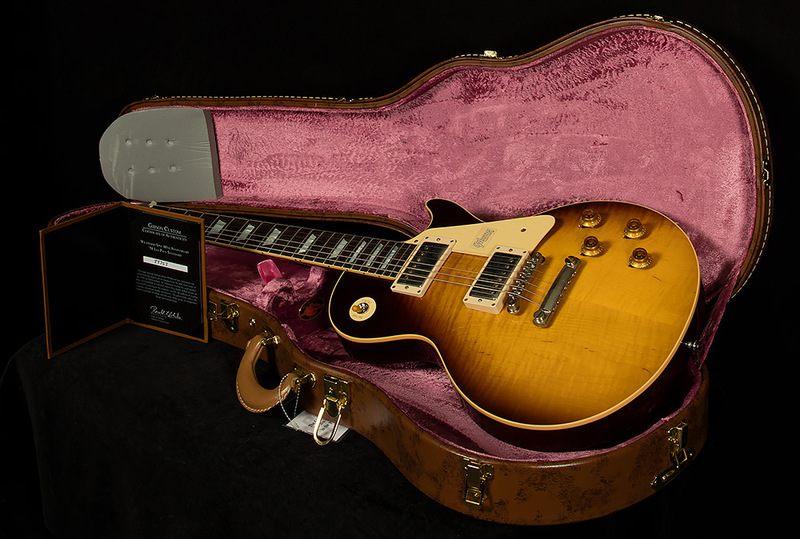 This Les Paul was originally sold by Wildwood Guitars and looks unplayed and in excellent condition. Includes the original hardshell case and COA. Nary a day in the year nineteen fifty-eight without some sort of important historical event taking place. Congress formally established the National Aeronautics and Space Administration, the hula hoop was invented, and--to the delight of college students everywhere--instant noodles became readily available for the first time. 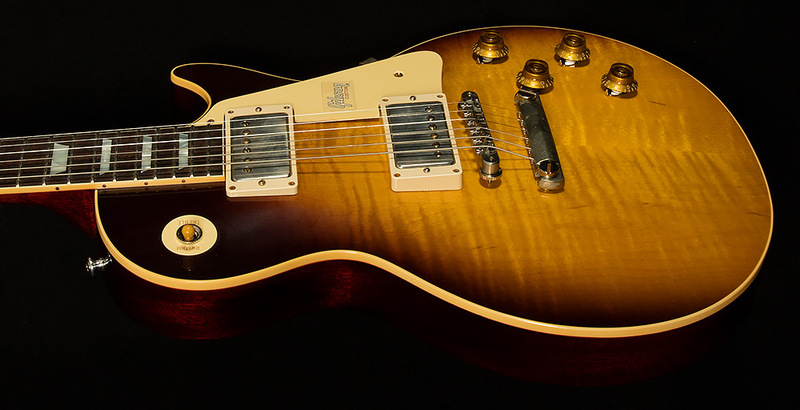 But, as important as Top Ramen and space travel are, they were overshadowed by an event of such monumental significance that it relegated everything else that happened that year to the dustbin of history: the release of the first modern-spec Les Paul Standard! Some "experts" might argue that launching the first satellite was "more important" than the release of a guitar, but these "scientists" and "historians" have obviously never strapped on a post-'58 sunburst Les Paul and rocked out through a half-stack. They'd think differently if they had! 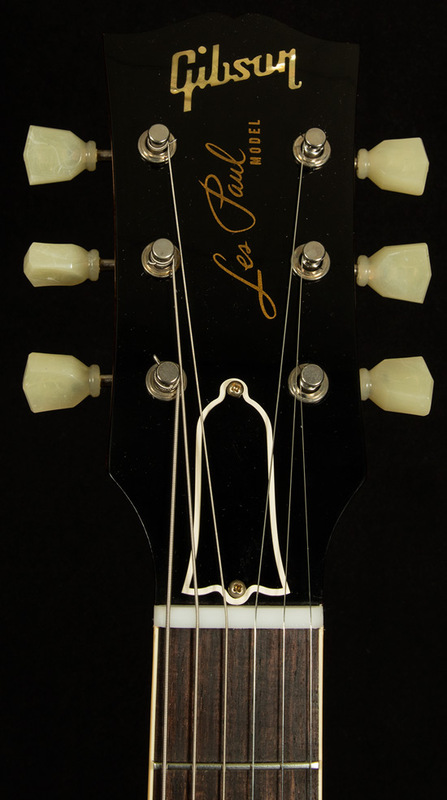 You see, up until 1958, the Les Paul did not exist as we know it now. 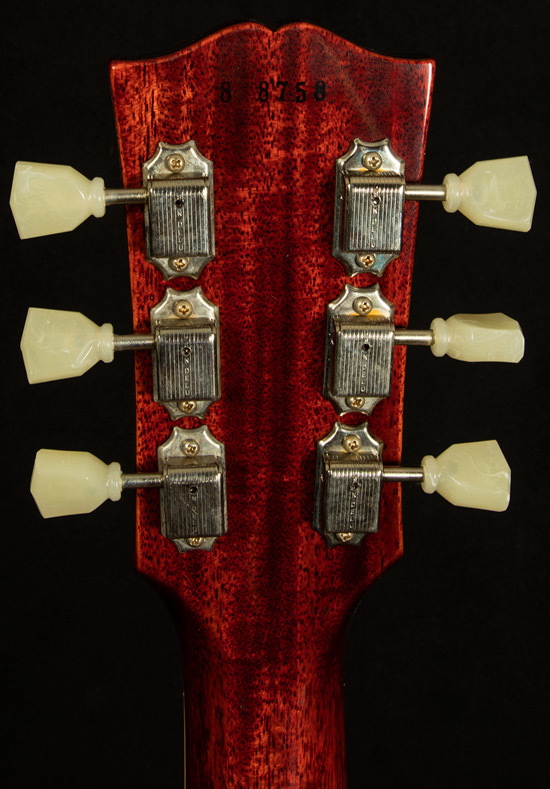 They all had gold tops with natural back and sides, and saying the words “cherry sunburst” to your average Joe guitar picker back then would have likely earned you a blank stare. Take a step back in time and try to picture what that must have been like. 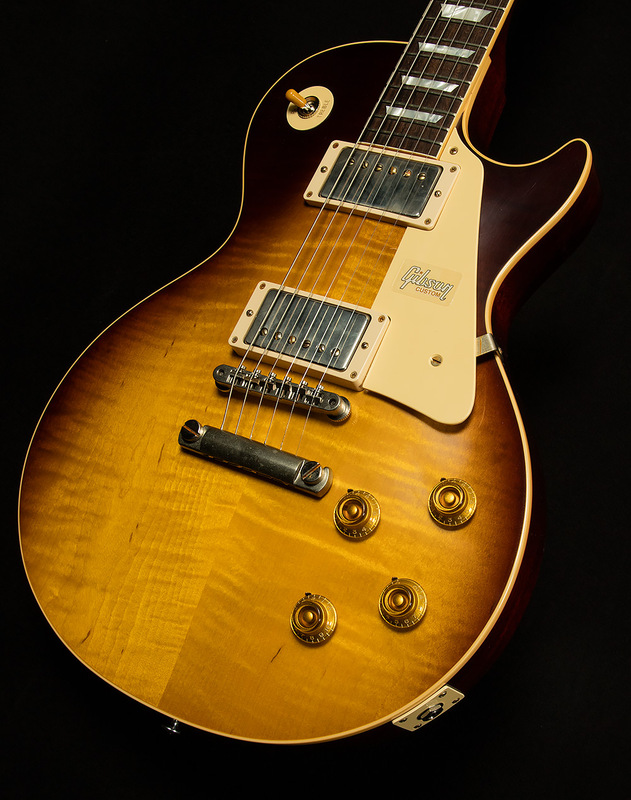 Goldtops are ridiculously cool, but imagine a world without sunburst Les Pauls! Or, even worse, imagine an alternate timeline where the legendary "First Burst" never happened! Rock history would look awfully different, wouldn't it? No "Beano" Les Paul for Clapton, no "Number One" or "Number Two" for Jimmy Page, no "First Standard" for Slash, no "Pearly Gates" for Billy Gibbons...the list goes on and on. It staggers the mind if you think about it too hard, doesn't it? 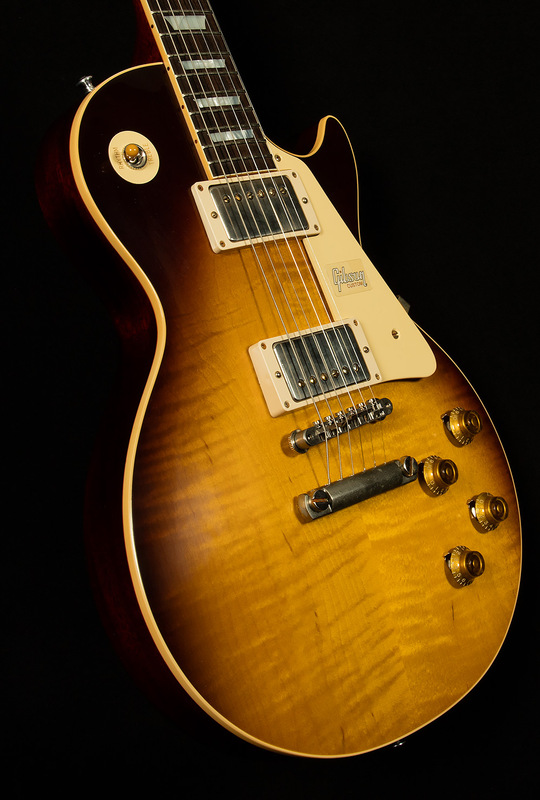 Needless to say, rock music would have lacked a certain swagger if the Les Paul hadn't undergone such a dramatic makeover in 1958, so the Wildwood team had to do something special to celebrate the modern Les Paul Standard's sixtieth birthday. Our friends at the Gibson Custom Shop were kind enough to put together a run of splendid reissues for us that we believe embody the revolutionary aesthetic and sound of the First Bursts, and we are overjoyed to showcase them for our exceptional customers. We decked out these mighty axes with some of our all-time favorite VOS finishes from Gibson's Collector's Choice series and artist-edition Les Pauls--including Slow Iced Tea Fade, Golden Poppy Burst, Kindred Burst, Vintage Cherry Burst, and (of course) Wildwood Burst--and we believe they look good enough to impress even the choosiest of vintage Gibson aficionados. They feature a host of historically-accurate features, including a two-piece center-seam maple top, red aniline dye on the mahogany body, and plastics with true-to-vintage chemical composition. Frankly, they look like they arrived at Wildwood straight out of a time capsule! 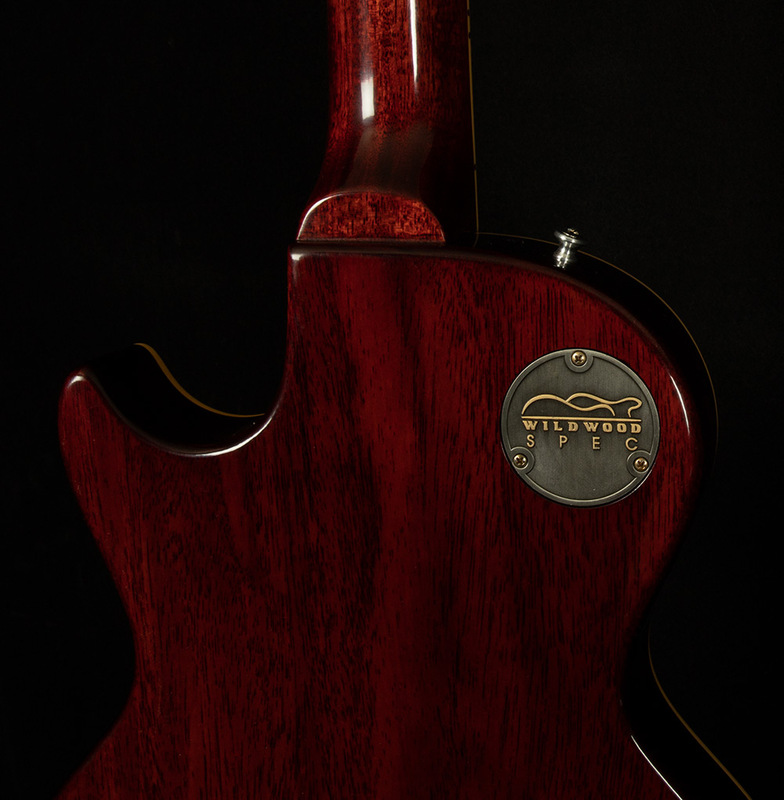 The masterful maestros at the Custom Shop have also ensured that these Les Pauls stand out from the crowd from a sonic standpoint by using premium tonewoods and attaching them together with hot hide glue--an old-world manufacturing technique that promotes energy transfer to create as much resonance and sustain as humanly possible. These powerful Pauls also come equipped with our Wildwood Spec Custom Buckers, a spectacular set of pickups that deliver thick-and-juicy bass response, biting mids, and sweet, singing trebles with such flair and panache that one could be forgiven for mistaking them for vintage PAFs. For guitarists, the legacy of the sunburst Gibson Les Paul that debuted in 1958 is incalculably vast. So, it is our distinct pleasure to offer our exceptional customers a series of guitars that embody their inspiring sound, groundbreaking aesthetic brilliance, and revolutionary attitude. 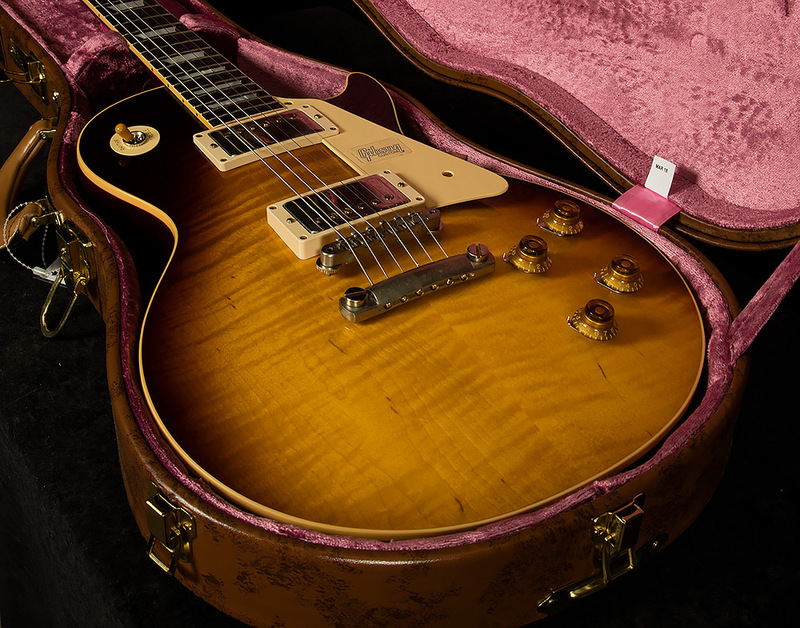 We've always believed that the best way to pay homage to an incredible guitar is to make more incredible guitars, and these Wildwood Spec 1958 Les Pauls may very well be the best anniversary gifts EVER!